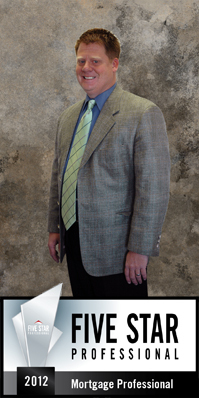 Vince Reece, Denver Mortgage Lender, has lived in Colorado since 1995. Originally from Kansas and graduated from Kansas State University in 1991 with a Bachelors of Science degree and majors in finance and marketing. He have been doing mortgages since graduating from college in 1991. Vince is involved in the community and he volunteers to coach youth soccer, wrestling and football. Vince is closing loans every month and is a respected mortgage broker Denver. The key to having a successful closing is making sure that all the information is compiled correctly and completely. This insures the loan will be approved with minimal conditions. This also makes a seamless process for all that are involved. Vince meets with every potential buyer and walks them through the entire buying process. They will know what to expect every step of the way. Remember, Vince focuses on one thing and that he does very well and that is mortgages. Vince studies the changing loan guidelines so you do not have to. Communication is the key and he keeps everyone informed through the entire process.